Powerful sound in a lightweight portable design. The Alpha 112 is designed from the ground up to be the most transparent loudspeaker in its class. Its neodymium 12” LF driver produces smooth low-end while its custom designed 1.75” titanium HF driver provides incredible high-end across a wide dynamic range. The Alpha 112 has a complete mixer section with all the inputs and outputs you need, plus some additional features to enhance your sound. Two Mic/Line combo inputs with independent volume controls are available as well as an XLR output to link speakers. The Contour switch instantly provides a gentle EQ curve that's perfect for music playback. 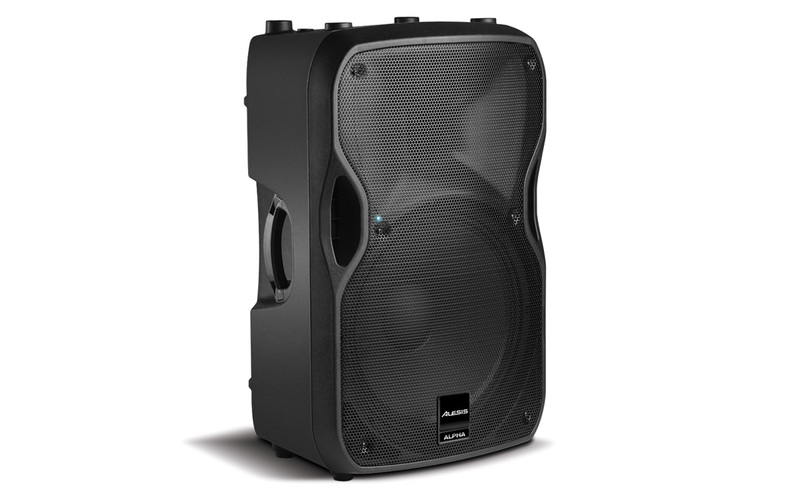 The lightweight cabinet is perfectly suited to perform as a traditional upright loudspeaker or as a floor wedge monitor. 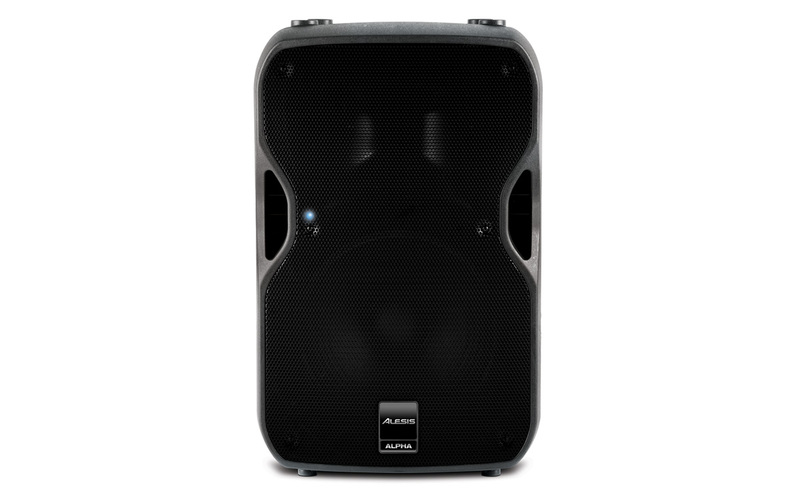 The Alpha 112 is stand- or pole-mountable via its standard 35 mm socket, and standard M10 rigging points are built in for flying the speaker overhead. Alesis Digital Signal Processing is onboard to control key aspects of the speaker’s operation, resulting in precisely tuned and completely consistent performance for any live sound application.